The UCSF fellowship program in Hematology/Oncology has been in existence since the 1960s and is rooted in our ability to combine extraordinarily broad-based clinical training across multiple sites and diverse patient populations with unparalleled biomedical research opportunities. As such our mission is to train leaders in hematology-oncology research. A review of recent graduates from our program highlights the success of our program, with 64% pursuing a career in research of some type (of these, 75% of graduates stayed in academic medicine and 25% secured jobs in pharma/biotechnnology). Having experienced significant growth over the past 15 years, there are now over 50 members in the Division of Hematology/Oncology. Many of our faculty hold leadership positions nationally and/or locally (within the Cancer Center, Division, School of Medicine and/or Department of Medicine). Clinical training related to cancer care involves rotations and clinics at several sites over the first 12-18 months of ACGME training. At the Parnassus campus, fellows obtain a tertiary care experience on the inpatient Hematologic Malignancies and Transplant service, as well as the general Hematology/Oncology consult service. In addition, fellows rotate in outpatient Non-malignant and Malignant Hematology Clinics. Fellows also rotate on the Hematology/Oncology consult services at the San Francisco Veterans Administration Medical Center (VAMC) and San Francisco General Hospital (SFGH). 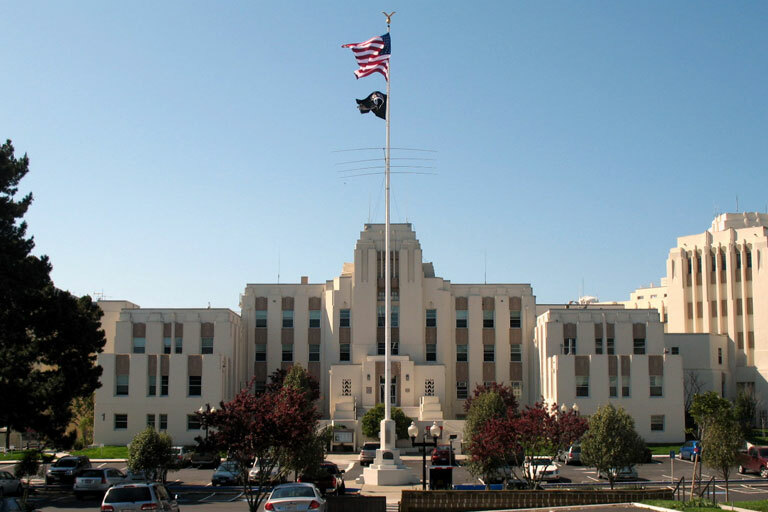 Both sites provide critically important outpatient experiences in the form of a general Hematology/Oncology continuity clinic at the VAMC, as well as separate Hematology and Oncology continuity clinics at SFGH. SFGH also offers specialized training in the care of patients with sickle cell disease for fellows boarding in Hematology. In the context of several dedicated outpatient months or research phase continuity clinics, fellows also rotate through disease-specific specialty clinics located at the UCSF Mount Zion campus and the new UCSF Mission Bay campus (solid tumor oncology). Clinical training is typically front-loaded during fellowship, with 12-18 months of clinical training (depending on whether a fellow is single boarding or double boarding) followed by dedicated research time. A block of research time early in second year is encouraged for double boarding fellows interested in clinical research as a means of “jump starting” their research effort in anticipation of completing six additional months of clinical training later in the year. The clinical training program for Hematology/Oncology fellows at UCSF has been substantially modified over the past several years to maximize the educational opportunities available at each site, minimize service, reduce weekend call, and increase outpatient time. Outpatient months include time for “research on research”, including meetings with advisors and potential research mentors and attendance at disease- or research-specific group meetings. Fellows single boarding in Medical Oncology have six outpatient months (out of 12 months of clinical training). In 2015-16, trainees double boarding in Hematology/Oncology will have a total of seven outpatient months (out of 18 months of clinical training). Each incoming fellow is assigned an advisor before starting fellowship training; trainees meet with their advisors at least quarterly during the clinical phase of training. The advisor's role is to help the fellow navigate the clinical phase of training, focus his/her research interests, and identify potential mentors. The advisor assists in the selection of research mentors and remains a resource throughout the research phase of training. All research mentors are independent clinical and/or laboratory investigators with independent funding and strong mentoring track records. Prior to beginning the research phase of training, each fellow prepares a short research proposal outlining his/her research plan (including the background, aims, methodology, limitations, and timeline for the primary project). In addition, trainees are asked to outline their plans regarding secondary projects, attendance at national meetings, participation in national workshops, and applications for external funding. Funding for fellows comes from training grants, disease-specific funds, or contract and grant revenue, supplemented by institutional sources as necessary. The ability to secure funding is an integral part of a successful academic career and fellows should consider obtaining independent funding to be an important program goal. To help achieve that goal, during the research phase of training, fellows work with their mentors to identify and apply for a range of funding opportunities. The Hematology/Oncology fellowship program supports this effort by providing pre-award administrative support, grant-writing training, updates on available funding opportunities, and access to a library of funded grants. K award counseling is provided free of cost by the CTSI and participation in campus-wide grant-writing courses is encouraged. All research fellows participate in monthly Friday Educational Sessions devoted to career development and other relevant topics. Fellows also receive an educational stipend to support attendance at at least one scientific meeting per year. Research phase fellows also attend at least one Disease-Specific Site Committee meeting (at which ongoing and planned trials and adverse events are reviewed), one IRB meeting and one Comprehensive Cancer Center Protocol Scientific Review Committee meeting in an effort to learn the fundamental principles underlying clinical research (e.g. informed consent, best research practices, scientific review). Three years of funding are provided for all fellows. This includes one additional year of funded research for fellows who have elected to single board in Hematology or Oncology. Additional funding is provided for fellows participating in the ABIM Research Pathway. Support for additional non-ACGME training is provided on a case by case basis. Fellows pursuing clinical research training meet with their mentors regularly to ensure development of a focused and testable hypothesis. A Cancer Center statistician works with the fellow to develop the clinical protocol, with support from the Investigational Therapeutics Resource within the UCSF Helen Diller Family Comprehensive Cancer Center as needed. The mentor oversees trial design and conduct, regulatory requirements, and data collection analysis and interpretation. Collaboration with multi-disciplinary research teams, including basic scientists, statisticians and other clinician-scientists is considered to be an integral part of this process. The work culminates in a research presentation (ideally at a national or international meeting) and manuscript preparation. During this period, the fellow maintains focused clinical activity in the appropriate subspecialty clinic(s) and receives ongoing clinical training, including formal coursework or participation in national workshops as appropriate. Laboratory-based fellows are encouraged to attend relevant meetings (within and outside of UCSF) to interact with other trainees, investigators, and distinguished scientists from other institutions (e.g. retreats, lab meetings, seminars, journal clubs). Informal presentations of research occur regularly, either in the form of regular group meetings, Research in Progress seminars, retreats or disease-related meetings on campus. All laboratory research fellows continue to maintain one half-day outpatient continuity clinic session per week. The goal of the ongoing clinical activity is to maintain clinical excellence, as well as to provide context to the laboratory-based research. Founded 150 years ago, UCSF is the only campus in the 10-campus UC system dedicated exclusively to the health sciences. UCSF's cadre of exceptional scientists, trainees and staff, embrace the pervasive spirit of collaboration and entrepreneurship. Together, they are leading revolutions in health in pursuit of its advancing health worldwide™ mission. UCSF faculty include five Nobel laureates and many leaders in their fields across the United States and world. Forty-nine faculty are members of the National Academy of Sciences, 18 belong to the Howard Hughes Medical Institute, 12 are Lasker award recipients, and 61 are members of the American Academy of Arts and Sciences. Reflecting the high caliber of its vast research enterprise, UCSF was rated to be in the top 5 universities world-wide for both medicine and life sciences according to the 2014 academic ranking of world universities. UCSF ranked first among public institutions and second among all institutions nationwide in research support from the National Institutes of Health (NIH) for fiscal year 2014, garnering a total of $546.6 million. The UCSF School of Medicine topped the list of NIH funding for medical schools for the 3rd year in the row. The UCSF Schools of Pharmacy, Dentistry, and Nursing also ranked first in their fields for NIH funding for 2014. All four UCSF professional schools, virtually all UCSF graduate programs, UCSF Medical Center and UCSF Benioff Children’s Hospital consistently rank among the best in the country, according to the latest surveys by U.S. News & World Report. UCSF's health care providers are among the nation’s leading experts in virtually all specialties, including cancer, heart disease, neurological disorders, immunological disorders, HIV/AIDS and organ transplantation, as well as specialty services for women and children. 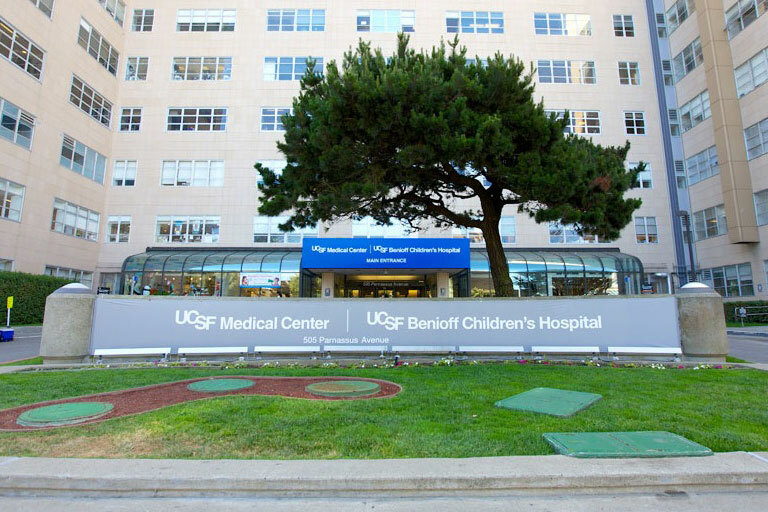 As a result, UCSF Medical Center and UCSF Benioff Children’s Hospital San Francisco are ranked among the best hospitals in the U.S with a mission focused on Caring, Healing, Teaching and Discovering. 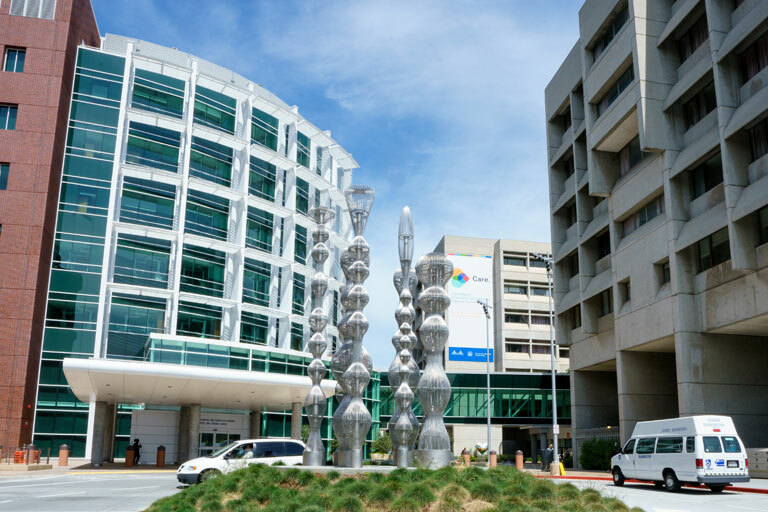 UCSF Medical Center has three major sites at Parnassus, Mount Zion and Mission Bay campuses and serves as a referral center for patients requiring highly specialized medical care that involves advanced and complex procedures. UCSF Medical Center at Mission Bay is our newest state-of-the-art hospital complex for women, children and cancer (open 2/2015). Built alongside UC San Francisco's vibrant research hub, our new hospitals bring together leading physicians and scientists to accelerate the translation of laboratory discoveries into actual treatments and cures. UCSF also serves the city’s vulnerable populations at its affiliates San Francisco General Hospital (SFGH) and Trauma Center and the San Francisco Veteran Affairs Medical Center (VAMC). As an example, the patient population at SFGH consists patients self-identifying as: White (23%), African American (17%), Native American (1%), Asian Pacific Islander (23%), and other/unknown (7%), Twelve percent of patients are under 18, 43% 18--44, 36% 45-64, and 9% over 64; 37% of patients are uninsured. Taken together, the diverse treatment sites available within the UCSF system affords our fellows exposure to extraordinarily diverse patient populations (i.e. socioeconomic, racial, ethnic, and cultural diversity) and health care systems (VA, county hospital, university-based) in the context of their clinical training. The combined experience ensures that our fellows complete our program with a solid understanding of cancer care across diverse settings and patient populations. Research programs in the basic, clinical, social and behavioral, and population sciences at UCSF are recognized internationally. Preeminent faculty, who are conducting basic science investigations at the genetic, cellular, molecular and systems level, are exploring the fundamental mechanisms of biology and discovering new solutions for preventing and treating a wide array of diseases. Translating this research into new therapies is fundamental to UCSF’s public mission. To that end, the campus has more than 650 active patents and continues to disclose hundreds of life science inventions each year. It also has spawned more than 90 life sciences companies – including the first biotech company, Genentech – and continues to collaborate with pharmaceutical and biotechnology companies, as well as foundations and patient advocacy groups, to help move discoveries more effectively from laboratory to clinical trials and into the community. To speed up urgently needed practices, policies, therapies and cures for public benefit, UCSF’s Clinical and Translational Science Institute (CTSI) was established in 2006 with a $108 million grant from the NIH as part of a national mandate and movement. CTSI received renewal funding in 2011 with a second five-year award of $112 million. To achieve its goals, CTSI provides infrastructure, services, and training to support clinical and translational research (including programs in Biomedical Informatics, Career Development, Clinical Research Services, Early Translational Research, Global Health, Community Engagement and Heath Policy, Clinical and Translational Science Training, etc.). In addition, the CTSI develops broad coalitions and partnerships at the local and national levels to enable a transformation of the research environment. At its core, UCSF remains an institution of higher learning, a place where tomorrow’s leaders in the life sciences, health care and health policy get their education and training. It serves as a magnet for the world’s top faculty, students, residents and postdoctoral scholars – a community of the best and the brightest. School of Dentistry is recognized nationwide for its novel approaches to dental education, including combined DDS-PhD and DDS-MBA programs and a special one-year training course geared to helping disadvantaged students gain admission to US dental schools. The school teaches and practices a philosophy of minimally invasive dentistry that embraces prevention before surgical intervention. US News & World Report does not rank dentistry schools. School of Medicine ranks in third place nationwide, according to the 2015 survey by US News & World Report. The survey ranks medical schools according to the quality of training in both research and primary care. UCSF has the only medical school in the nation that ranks in the top five in both categories. The school encourages its students to incorporate inquiry, innovation and discovery throughout their careers, whether in private practice, industry or government, academic medicine, or other pursuits. School of Nursing ranks second overall in the nation in the last survey (2015) for both its master's of nursing program and its nursing-midwifery program conducted by US News & World Report in which nursing schools were evaluated. The school provides education and research training in the social, behavioral and biological sciences, with a focus on health, illness and health care. School of Pharmacy ranks No. 1 in the nation for its Doctor of Pharmacy (PharmD) program in the 2012 survey conducted by US News & World Report that included pharmacy schools. The school teaches students to be lifelong experts in the safe and effective use of medicines and to be effective and vocal members of the health care team. Graduate Division oversees educational programs that rank at the top nationally, including seven in the top 10 in the prestigious National Research Council’s 2010 survey. The Graduate Division administers programs that are cross-discipline, cross-department and even cross-school, rather than being based in one department, thereby fostering a culture of collaboration that leads to greater accomplishments. UCSF’s long tradition of excellence in cancer research includes the Nobel Prize-winning work of J. Michael Bishop and Harold Varmus (1989), as well as that of Elizabeth Blackburn (2009). Bishop and Varmus discovered cancer-causing oncogenes, opening new doors for exploring genetic abnormalities that cause cancer, and forming the basis for some of the most important cancer research happening today. Dr. Blackburn discovered the molecular nature of telomeres and the role of the telomerase enzyme. In addition to numerous other established cancer researchers at UCSF, Alan Ashworth, PhD was recently appointed the new director of the UCSF Helen Diller Family Comprehensive Cancer Center. Dr Ashworth identified the BRCA2 gene and was the first to recognize the role of PARP inhibitors in treating BRCA-1 and BRCA-2 related cancers. As the president of the organization, he is committed to bringing together scientists and clinicians from many disciplines to collaborate on virtually every aspect of cancer – understanding the basic biology, identifying risk factors and finding the best ways to control or prevent the disease. A commitment to successful research programs in basic research, clinical research, and cancer prevention and control, as well an emphasis on patient care, community service, and outreach related to cancer, are the basis for the UCSF Helen Diller Family Comprehensive Cancer Center. The only National Cancer Institute (NCI) designated comprehensive cancer center in the Bay Area, comprehensive status is the NCI's highest ranking, and is awarded after a rigorous evaluation process which shows that the center pursues scientific excellence and has the capability to integrate diverse research approaches to cancer. The UCSF Bakar Cancer Hospital is a unique new hospital (open 2/2015) that is part of the UCSF Helen Diller Family Comprehensive Cancer Center and located steps away from a world-class research center, thus bringing top researchers and clinicians side by side. Cancer-related research and clinical care are priorities for UCSF. Approximately one-quarter of the university’s full-time faculty members work in cancer research or patient care. Research within the UCSF Helen Diller Family Comprehensive Cancer center is linked to research performed throughout the entire UCSF community. Furthermore, translational research within the Cancer Center is supported by resources and infrastructure provided by the CTSI. The Cancer Center’s more than 370 members and associate members — faculty investigators in laboratory, clinical, and population-based research — exemplify the value of attacking the cancer problem through collaborative, interdisciplinary research. Cancer Center members represent dozens of departments and institutes in the UCSF Schools of Medicine, Pharmacy, Dentistry, and Nursing. Members exemplify extraordinary scientific distinction as measured by prestigious national and international honors. Among the UCSF Helen Diller Family Comprehensive Cancer Center’s members are Drs. Bishop and Blackburn, as well as three winners of the Albert Lasker Award for Basic or Clinical Medical Research; eight Howard Hughes Medical Institute investigators; 13 members of the National Academy of Sciences; 20 members of the Institute of Medicine; 18 Fellows of the American Academy of Arts and Sciences; and four Fellows of the Royal Society and the Royal Society of Edinburgh. Public-private partnerships can speed the advancement of biomedical research and move discoveries from bench to bedside. UCSF Helen Diller Family Comprehensive Cancer Center investigators have developed creative partnerships with dozens of life-science companies in the Bay Area and beyond. Current initiatives, totaling millions of dollars in research funding, include strategic partnerships with Novartis, Genentech, SurroMed, Onyx Pharmaceuticals, Celera Diagnostics and Predicant Biosciences. QB3 director’s office, helps researchers commercialize scientific discoveries and supports the Bay Area’s commercial life-science ecosystem. QB3 promotes cross-campus, interdisciplinary research Creative partnerships with industry and support for entrepreneurial scientists bring the fruit of research to market and bring benefit to society—in the form of products, services, and high-value life science jobs. QB3’s tools include research facilities, educational programs, internships, mentoring, incubators, and a seed-stage venture fund. The Entrepreneurship Center at UCSF provides the knowledge, support and connections needed by our community of scientists and clinicians who want to commercialize their inventions through a startup. The Center provides courses, programs and a network to expose investigators to the entrepreneurial mindset and the Silicon Valley ecosystem that is the world's standard. We support entrepreneurial interests in all areas of life science/healthcare, whether therapeutics, research tools, medical devices, diagnostics, digital health or Big Data.